Here’s a few pictures I took as I wandered around the Marais district in Paris recently. From memory, it was a Sunday and I started my walking tour at the Maison Europenne de La Photographie gallery (which was fantastic by the way). After a couple of hours there, I decided to wander further into this beautiful Parisian quarter to soak in the atmosphere and do a bit of ‘people watching’. The image above is possibly my favourite ‘street’ photo that I took whilst in Paris. I’m considering getting it printed and framed… we’ll see I guess. There were about 8 other variations of this shot (different people walking past) but this one struck the right amount of motion blur, coupled with the female subject being caught in a pleasing mid-stride pose. I’ve also cropped it at a 16:9 aspect ratio to heighten the sense of the subjects’ movement throughout the frame. What do you think? Do these shot’s stir any kind of emotional response in you? I’d love to hear your thoughts. Don’t forget to click on an image below to see them in the larger gallery viewer. When you see them all together in the gallery, you can see that you have changed the tones, but when you look at them individually, you don’t really notice. I don’t know if that is a good thing or not. I like the subtle changes, and I like how it gives the images a past, if that is the right way of putting it. Yep, I appreciate what you’re saying about the ‘strength’ of toning in these shots Leanne. On the one hand, I kind of like that the changes are so subtle that you don’t really notice – it suggests to me that the viewer wouldn’t be conscious of the manipulations to an image and you could really create and set a certain mood. On the other hand, if the changes are that subtle that no one notices, was the image even worth looking at in the first place! Interesting that you felt these images had a ‘past’. Not exactly what I was going although I do like vintage processing fades and toning. Really, I’m just chasing a more unique/noteworthy look in order to freshen up familiar scenes that have been seen many times before by other photographers. Yes, wonderful street photography, Distan. Love your leading image especially, and the cool perspective of the pigeon shot! Hehe, the pigeon turned out really well with this split toning. I quite like it now too. It surprises me how sometimes you can take a shot; it not turn out how you had hoped/envisioned; and then reveal a completely new character to an image during post-processing. One that you didn’t even anticipate. 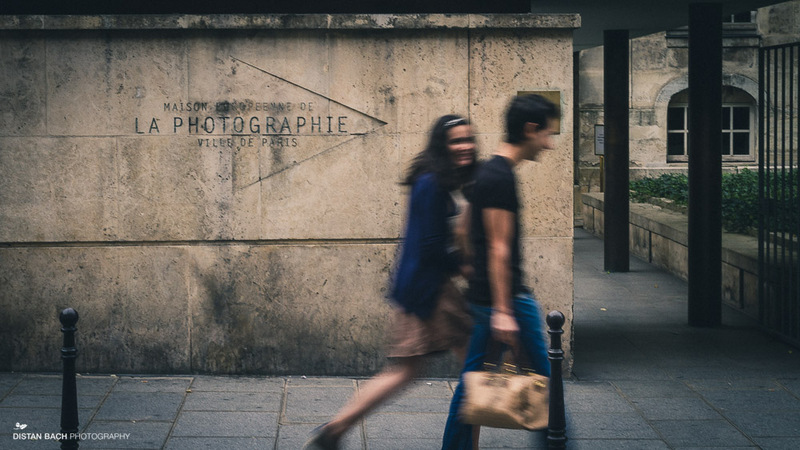 The lead image (of the couple walking in front of La Photographie gallery) is my favourite because it is minimal enough and yet interesting enough to stand the test of time (i think at least). I have a feeling that I could look at that image and still appreciate its qualities in 10 years time. Thanks again for your encouraging words Karen, I really do appreciate it and am sorry for taking so long to reply. A real joy Distan to absorb oneself in the streets of Paris and the toning and ageing processes have really added another focus onto these wonderful images. Hope the New year has got off to a great start for you. Thank you James, so nice of you to comment on the processing of these images too. 2014 has gotten of to a swift pace – I have hardly been able to keep up. Busy, busy, busy! It feels like its going to be an exciting year, juggling all sorts of things and trying to keep all those balls in the air, I think. My apologies for taking sooo long to reply as well. Its very negligent of me and the last thing I would want is for you to feel ignored or taken-for-granted. I’ve met so many wonderful photographers, artists and bloggers through this little site, Im thankful everyday. Great set Distan! Your pictures are full of life and energy.